Nick is a Professor of Sensory Ecology in the School of Biological Sciences and is currently the Deputy Head of the Department and the Director of Research. His research spans many aspects of visual ecology, animal vision and light pollution. He is particularly interested new optical principles that animals exploit for visually guided behaviours. The lab has pioneered and uses several novel optical and behavioural techniques. Martin is a Royal Society University Research Fellow and holds a proleptic lectureship. His research focuses predominately on the visual ecology of marine and intertidal organisms. Specifically, he studies the detection of polarized light in mantis shrimps and fiddler crabs, colour vision in crustaceans and skin camouflage patterns in a variety of species, including nudibranchs, cuttlefish and zebra. Ilse is a post-doctoral research associate funded by AFRL and EPSRC. Her PhD research focused on the eye movements of stomatopod crustaceans, using a custom stereo eye tracking method she studies how the bizarre eyes of the mantis shrimp respond to various environmental stimuli. Emelie is a PhD student funded by the Royal Society. She is researching the intricacies of how the eyes of crustaceans such as Fiddler crabs, deal with rapidly changing light environments and how this may affect their sensitivity to polarized light. Her project uses a range of study techniques, from micro-anatomical studies to behavioural experiments in the animal’s natural environment. Emelie is supervised by Martin How & Nick Roberts. Sam is a PhD student funded by the EPSRC and DSTL. His research concerns how and why crustaceans see the polarization of light. Using behavioural experiments, Sam is studying polarization vision in shore crabs, fiddler crabs and mantis shrimp. He is supervised by Nick Roberts & Martin How. Jim is a BBSRC funded PhD student jointly supervised by Martin Stevens at Exeter and Nick Roberts. Jim is studying links between animal vision and colour change for camouflage. The aim is to understand how colour change is affected by changes in light conditions and visual background. Rochelle is a NERC funded PhD student and is supervised by Nick Roberts and Lauren Sumner-Rooney (Oxford University Museum of Natural History). Her research will focus on how light pollution affects the visual ecology of insects. Ally is a NERC funded PhD student with Dr Suzanne Williams (NHM), Prof Nick Roberts (University of Bristol) and Dr Liz Harper (University of Cambridge). Her project is based at the NHM will be exploring why and how complex camera eyes evolved in the marine gastropod family Strombidae (true conchs). Isla is a NERC funded PhD student. She is co supervised by Andrew Radford, Steve Simpson (Exeter) Nick Roberts and Christos Ioannou. Isla is also being supported by a case award from AzulOptics (Shelby Temple). Her work will be focus on how coral reef fish use of different sensory channels for threat detection and how this multimodal communication is affected by various global pollutants. Richard is a NERC funded PhD student supervised by Karl Wotton(Exeter) and Nick Roberts. The aims of Richard’s project is are to study the visual cues used by one of the most abundant European migrants, the marmalade hoverfly, Episyrphus balteatus. VJ is working in the lab with Nick Roberts and Lauren Sumner-Roooney (Oxford University Museum of Natural History) looking at arachnid sensitivity to the polarization of light. Christian is undertaking a project with Martin How on the polarization vision of different crustaceans as part of his marine biology master at the University of Algarve (Portugal). David is now an honorary research fellow in the group. After finishing his post-doc woking on polarization vision in fish, he's now taken up a new post-doc working with Emily Baird in Lund, Sweden. 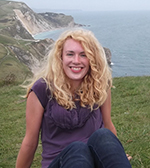 Shelby is an honorary research fellow, maintaining links with the group after leaving to set up AzulOptics and develop the commercial potential of research. Shelby has been interested in polarization perception in cephalopods, fish and humans and is currently working on commercializing a polarization-based tool for measuring macular pigment density in the human retina. Shelby recently won the 2017 UK Innovator of the Year Award by the UK Biotechnology and Biological Sciences Research Council (BBSRC). There are always a number of opportunities in our lab, especially for work on visual ecology and other areas of natural photonics. Sam Chivers - Masters Student at the University of Texas AM, USA. Dr Kathryn Feller - Currently a Marie Curie Fellow with Paloma Gonzalez-Bellido in the FlySyLab in Cambridge. Dr Xin Wang - Has now finished his PhD at Hfei University of Technology, China. Dr Milly Sharkey - Joined the Bebe Group, BYU, USA as a post doc. She has now moved to join Trevor Wardill's lab in Cambridge. Dr James Foster - Currently a PostDoc in the Animal Vision Group, Lund University, Sweden. Dr Tom Jordan - Currently a Marie Curie Fellow in the School of Geographical Sciences, University of Bristol.